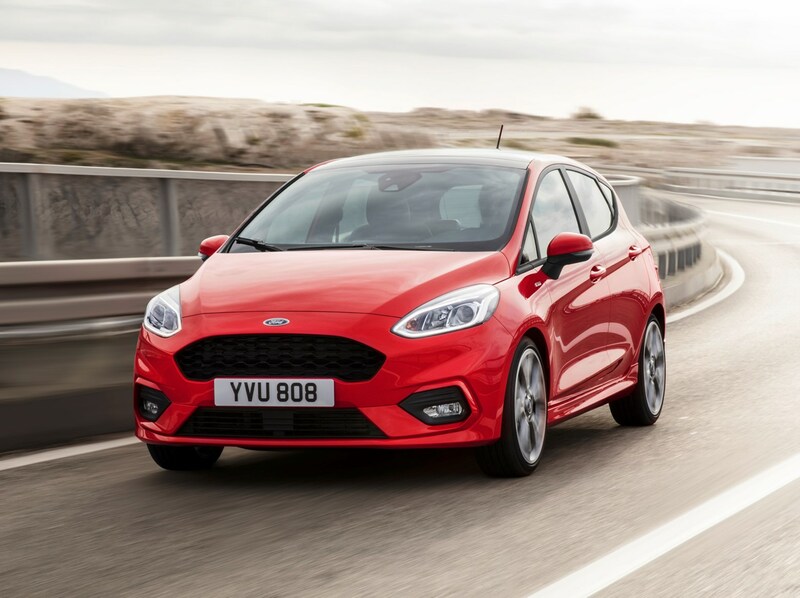 Pricing for the 2017 Ford Fiesta will start at £1,080 less than the outgoing model, with seven different trim levels on offer. Ford dropped the budget Style trim from the outgoing Fiesta’s line-up in 2016, yet has reintroduced it for this all-new model with a headline-grabbing £12,715 price tag. Kit levels are predictably modest, yet all the basics are there, including, air-con, Bluetooth phone connectivity, electric windows and a trip computer all coming as standard. Ford has announced a modest £420 price-rise over the outgoing Zetec-spec Fiesta, with the on-the-road-price for the 2017 model set at £14,215. 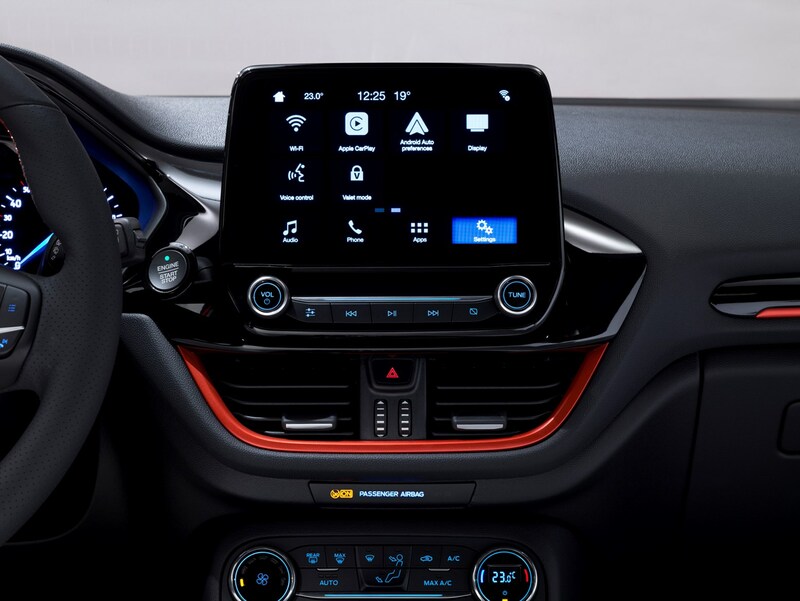 There is more equipment however, with the Zetec Fiesta offering goodies such as Apple CarPlay and Android Auto, DAB radio with a 6.5-inch touchscreen infotainment system, emergency assist and a heated windscreen as standard. Also available on all Zetec and Titanium models will be the B&O Play series, offering an enhanced audio experience and unique exterior and interior colour themes. 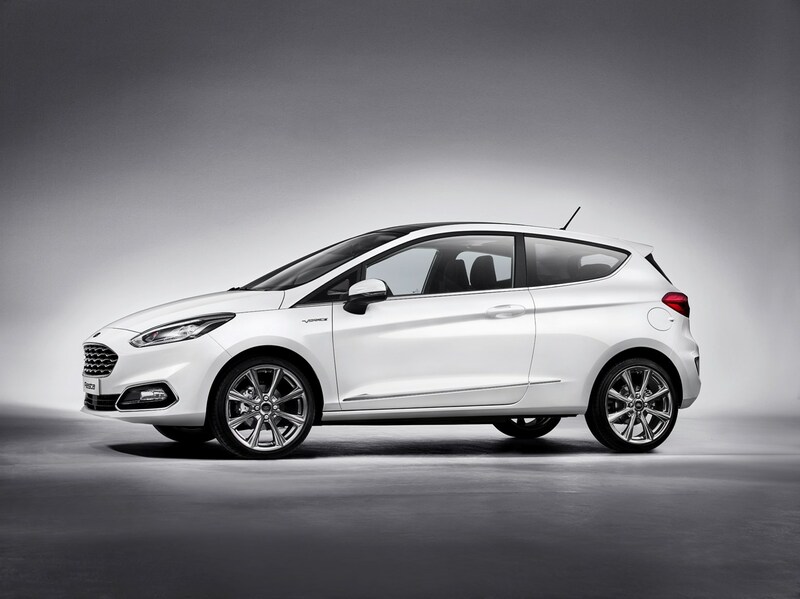 Available from £15,165 on Zetec-trim Fiestas, the add-on comes with a premium B&O ten speaker sound system, a boot-mounted subwoofer and an upgraded 8.0-inch ‘floating’ infotainment screen. 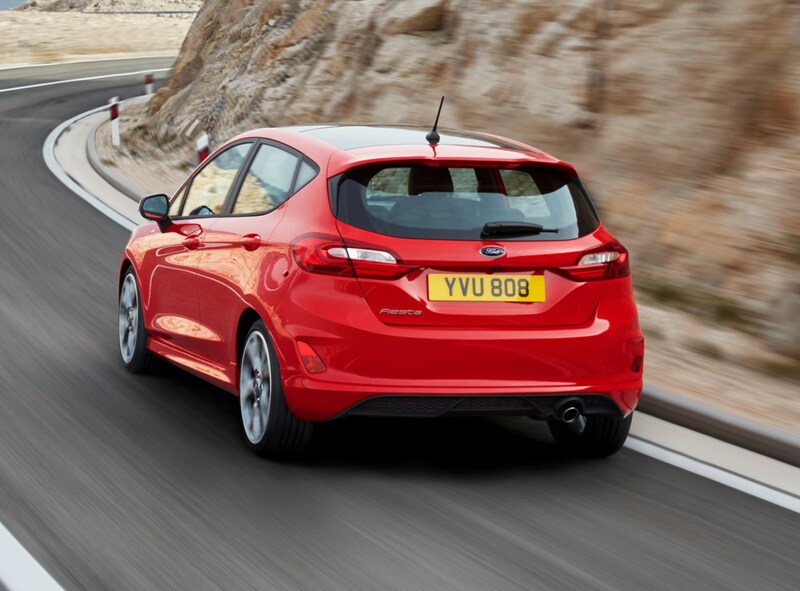 For customers whom want sporty looks of a Fiesta ST but not the increased running costs, Ford has continued the ST-Line trim. 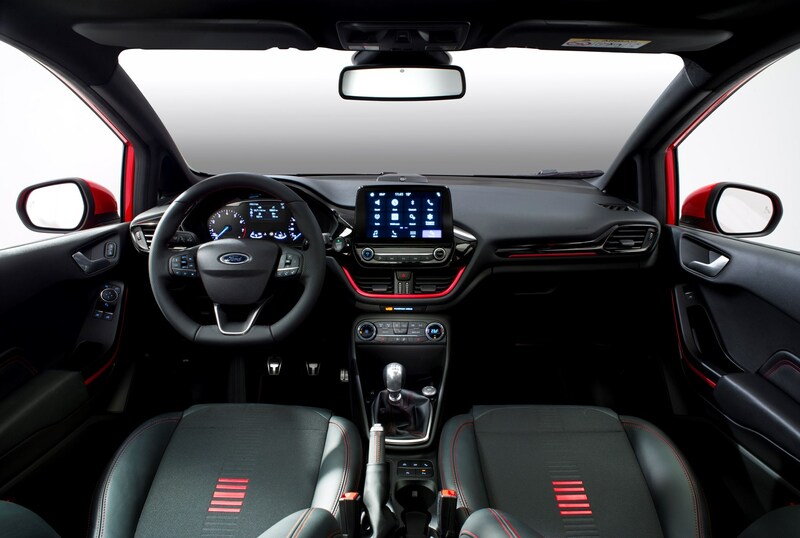 Standard equipment for the pseudo-hot-hatch Fiesta includes ST exterior styling, sports-tuned suspension, a heated front windscreen, sports seats, keyless ignition, halogen headlights and 17-inch alloy wheels. Meanwhile, ST-Line X models also benefit from standard-fit cruise control, partial leather sports seats, an upgraded 8.0-inch infotainment system and high-beam assist. The upgraded standard kit brings an increased price tag of £17,495. Already available on Mondeo, S-Max, Kuga and Edge models, the high-end Vignale spec can now be had on the 2017 Fiesta, and will be priced from £19,345. It’s a notable price jump from the £14,215 Zetec trim, yet the new trim level offers customers a superior dealership experience when buying and owning the car, plus a range of luxury car-esque standard equipment. This includes 17-inch alloy wheels, unique exterior and interior styling, Black Ruby heated leather seats and steering wheel, panoramic sunroof and a rear view camera. A crossover-inspired Active trim level will also be available, featuring an faux-off-road-style exterior. Pricing and equipment levels for the Fiesta Active and upcoming ST will be released later in 2017. The 100hp 1.0-litre EcoBoost engine is set to be the most efficient petrol in the range, with claimed average fuel economy figures of 65.7mpg and emissions of just 97g/km of CO2. Note, however, that when specced with the automatic six-speed transmission, CO2 increases to 118g/km, while combined economy plummets to 54.3mpg. Customers will be able to opt for both the auto- and manual-transmission 100hp 1.0-litre engine on Zetec models and above. For those after the best CO2 and fuel economy ratings, however, the 85hp 1.5-litre turbodiesel engine is still king. When fitted to the three-door Fiesta, CO2 comes out at just 82g/km of CO2, while average fuel economy is rated at 88.3mpg. And for those who can’t quite wait until the 200hp Fiesta ST arrives, there’s a manual-only 140hp 1.0-litre petrol engine which sprints from 0-62mph in 9.0sec and onto a top speed of 125mph. 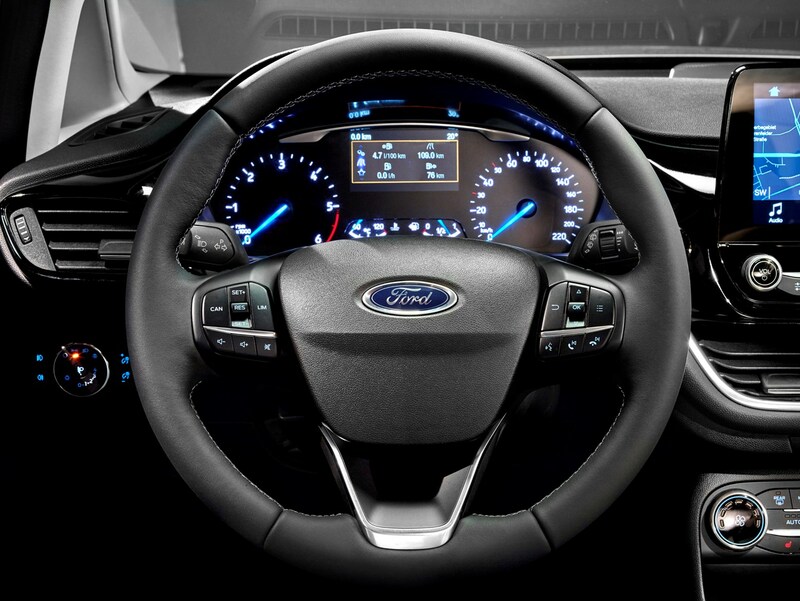 Should customers wish, their Fiesta can be ordered with Ford’s Pre-Collision Assist with Pedestrian Detetction which attempts to stop the car should a collision be deemed imminent. Other traditionally more premium car tech, includes lane-departure warning, blindspot monitor, adaptive cruise control and automatic parking.